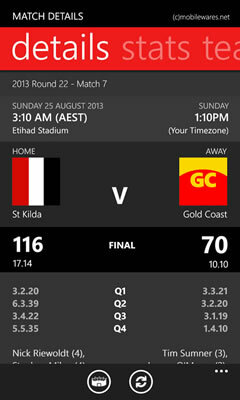 Another huge update to Australia's #1 selling Sports app in 2011, 2012 + 2013 - now for Windows Phone 8! 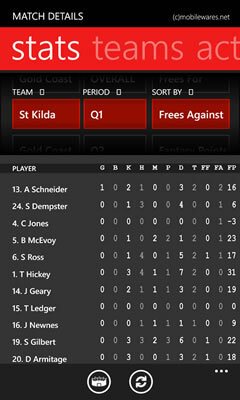 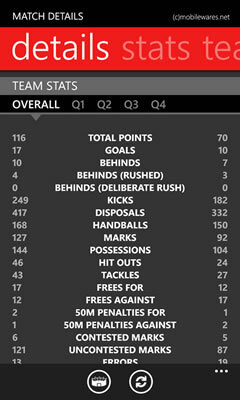 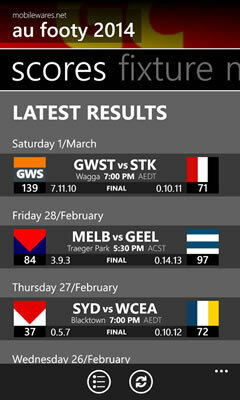 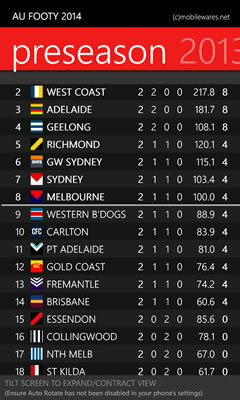 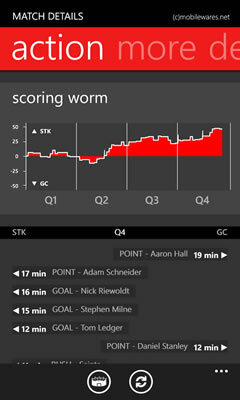 Track the current AFL 2014 Season - and get the complete experience including comprehensive live scores, blow by blow Team, Game and Player Head to Head stats, Fixtures, Ladders, Latest News, Twitter Feeds, Stats, Venue Details and loads more..
Comprehensive Extended Live Match Data including Quarter by Quarter, Team + Individual player stats, pre-game Team Lineups, Match Events, and other general information where available (such as weather, ground conditions, umpire lists, injuries and attendance). 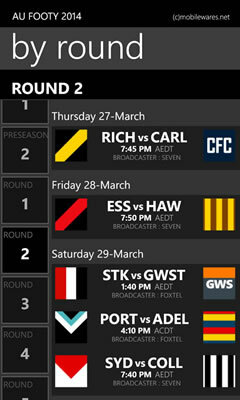 View Upcoming Matches + Fixture by Team or by Round. 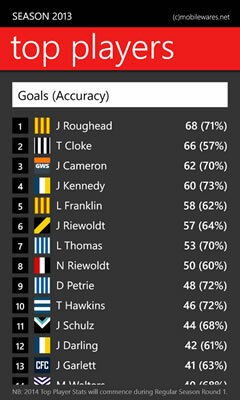 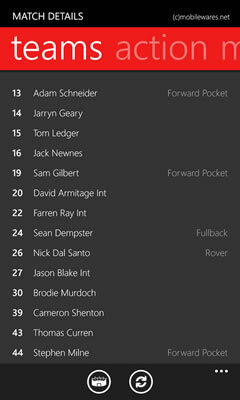 Includes 2014 Fixture Data (with Historical scores for 2012 + 2013 Season pre-loaded into the App) - including coverage of the NAB Pre-Season. 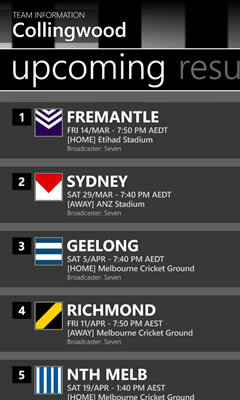 * Please note some 2014 Pre-season + exhibition matches may only have basic/delayed results (full live coverage will be available for all regular home/away matches and finals). 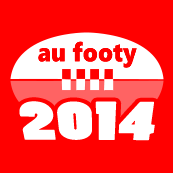 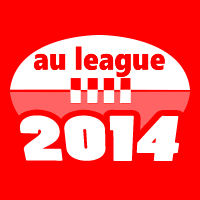 Nb: Above rankings/awards for 'AU Footy 2014' are at time of updating this page.